Prominent & Leading Manufacturer from Ahmedabad, we offer ifd converter. Our customer can avail IFD Converter Improve Performance, which is an updated version of IFD series. This also incorporates the more hi-tech and advanced features. By using this technology, user can extend the communication distance to at least 1200m or the number of communication node by 32. This advance feature also impacts speed and performance of device in data transmission. 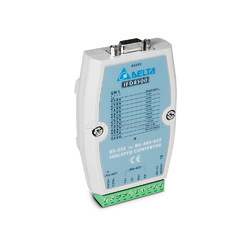 Looking for Industrial Communication Module ?